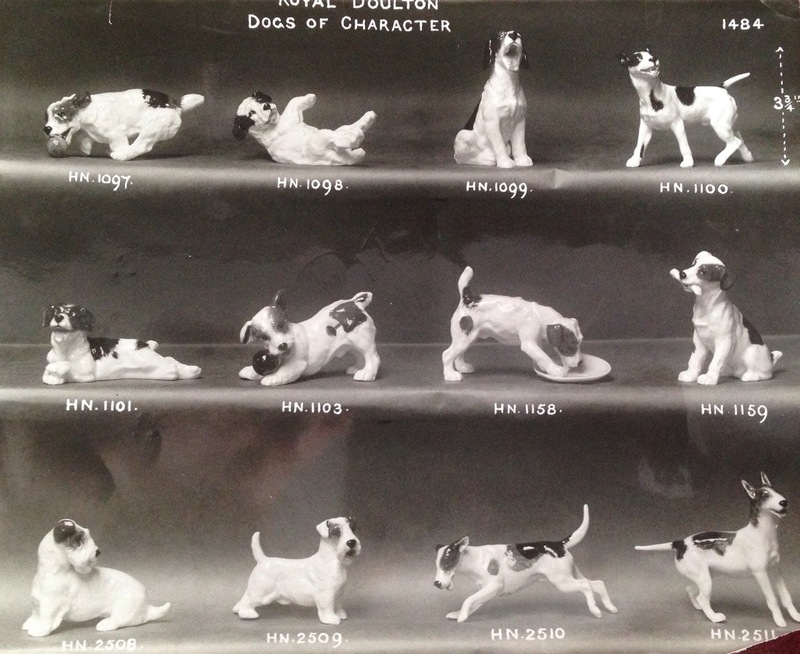 Royal Doulton’s ‘Dogs of Character’. An early publicity shot for the series. 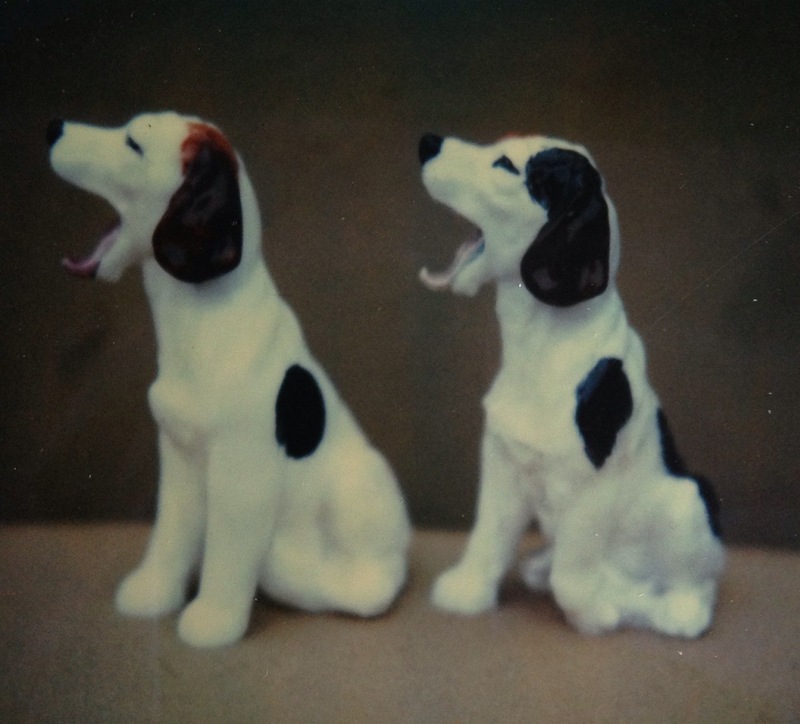 Although the modeller or modellers for this delightful set of dogs is unknown, inspiration for them comes directly from the many dog illustrations by Cecil Aldin. 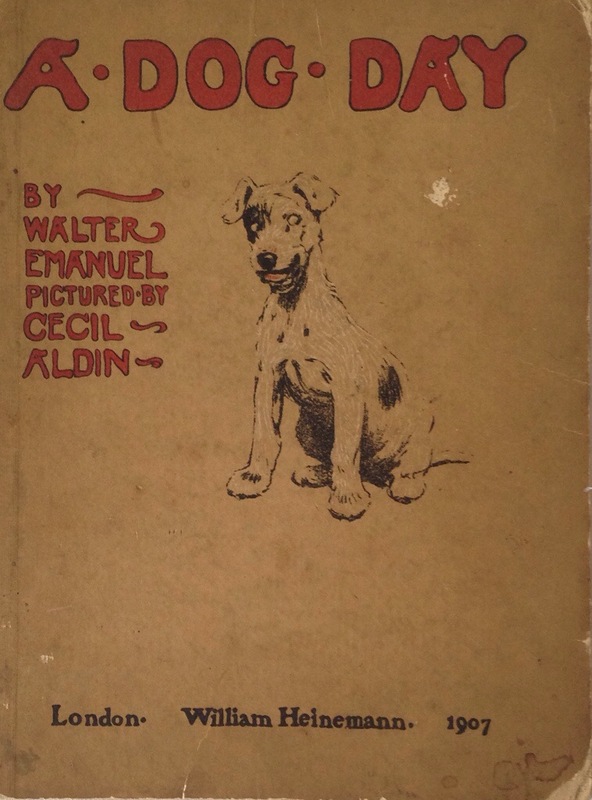 The cover of ‘A dog day’ illustrated by Aldin. The series was expanded at a handful of points. The original six models were introduced in 1934, then a further two in 1937. These were succeeded by four more models in 1938. 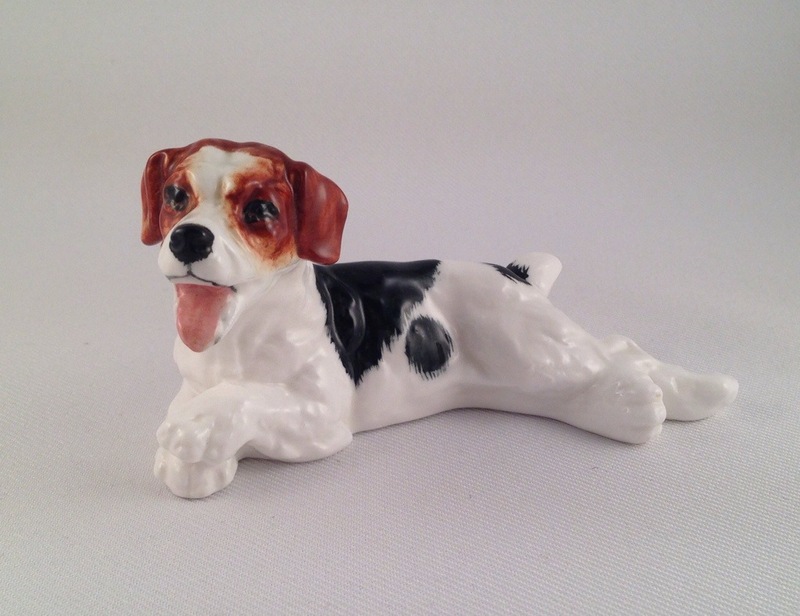 There was a large gap then until 1959 when the character dog with slipper was introduced. A group of character dogs including the rarer HN1098. From this original set there were withdrawals in 1959 and these are naturally the most sought after. Another of the first withdrawals HN1101. At some point in their early production, the series also had an early backstamp unique to it. A further six studies were added to the set in 1941 and are HN2585-2590. 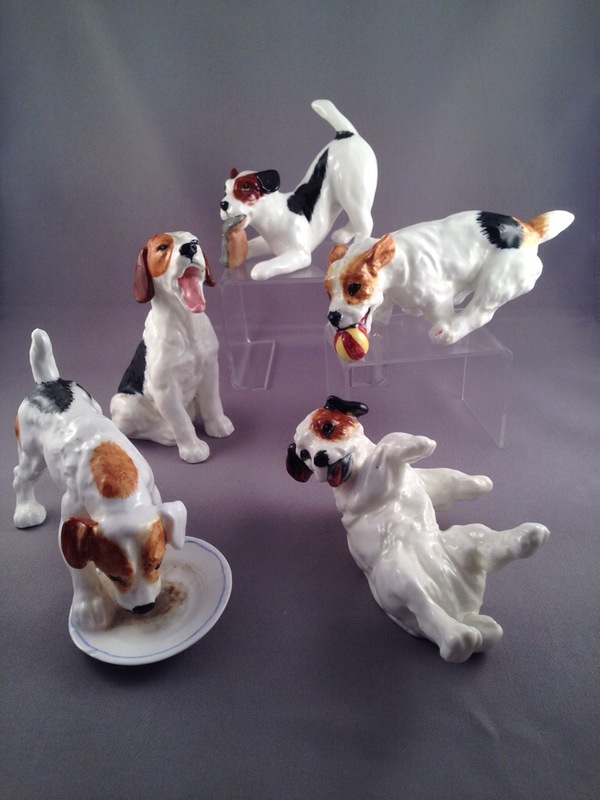 The popularity of this set meant that the remaining dogs were in production until 1985 and even after this a handful were re-produced under the Beswick brand, although these later ones are instantly distinguishable from the Doulton ones due to their lack of detail. Variations in dogs and occasional prototypes do turn up and I know of a dog playing with a tin and ball of string and here on the right is a rare version of HN1099 with a front paw modelled differently. 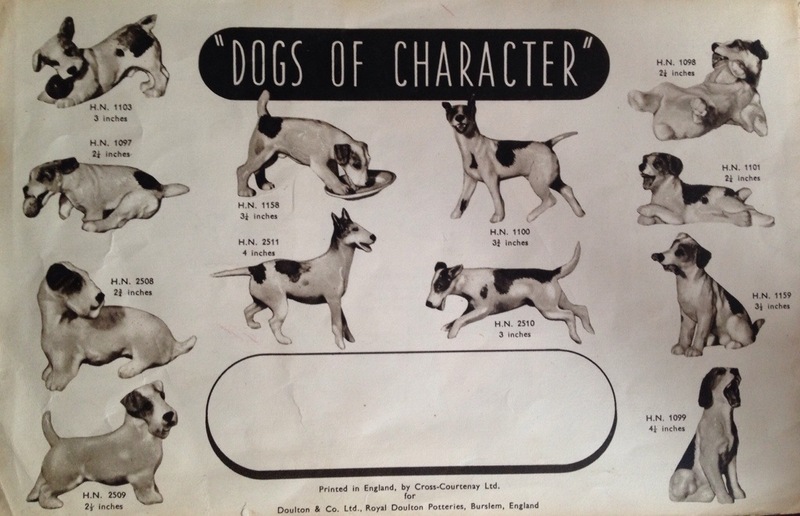 A catalogue page showing the first 12 dogs in the set ca.1938. All content and pictures © Christopher Evans 2014. 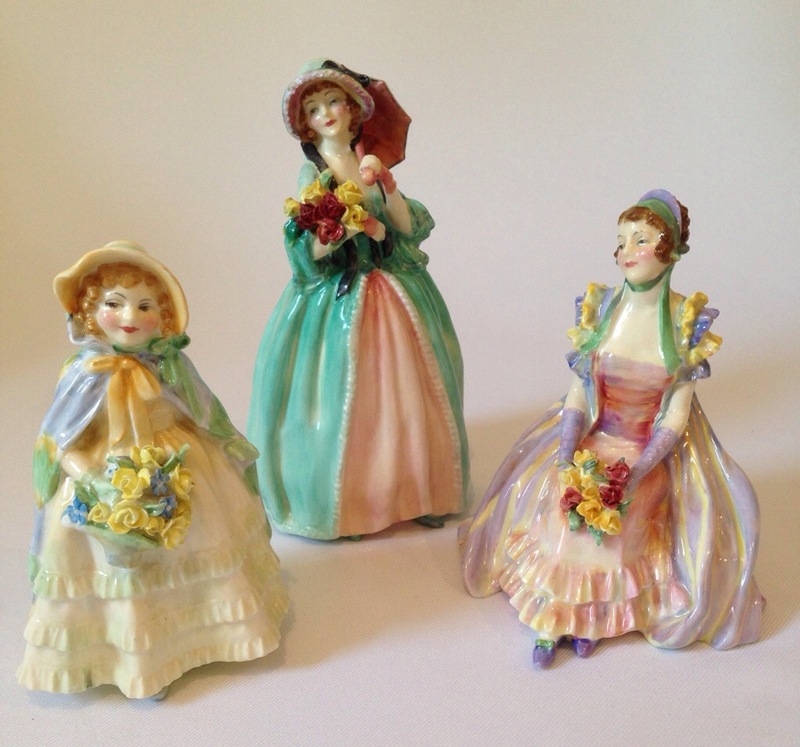 The many faces of Doulton ladies! 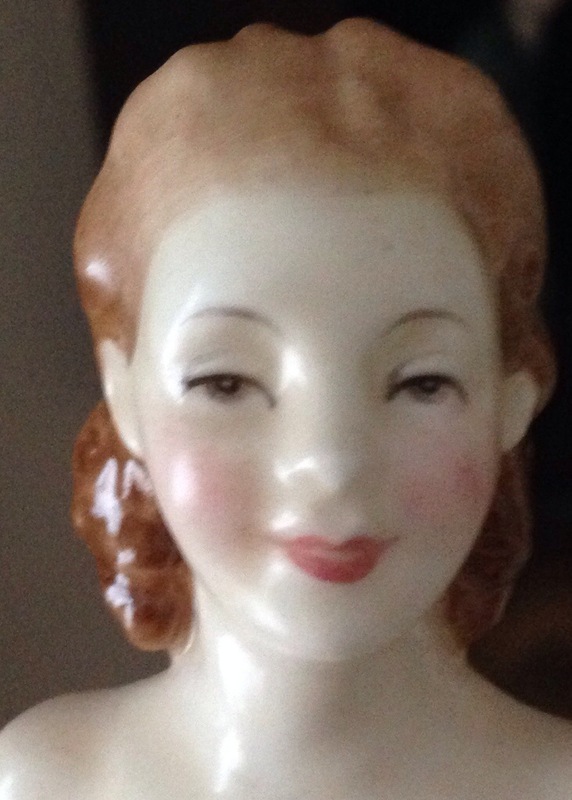 I’ve recently been asked to describe how to use the face of a Royal Doulton lady to identify her age. 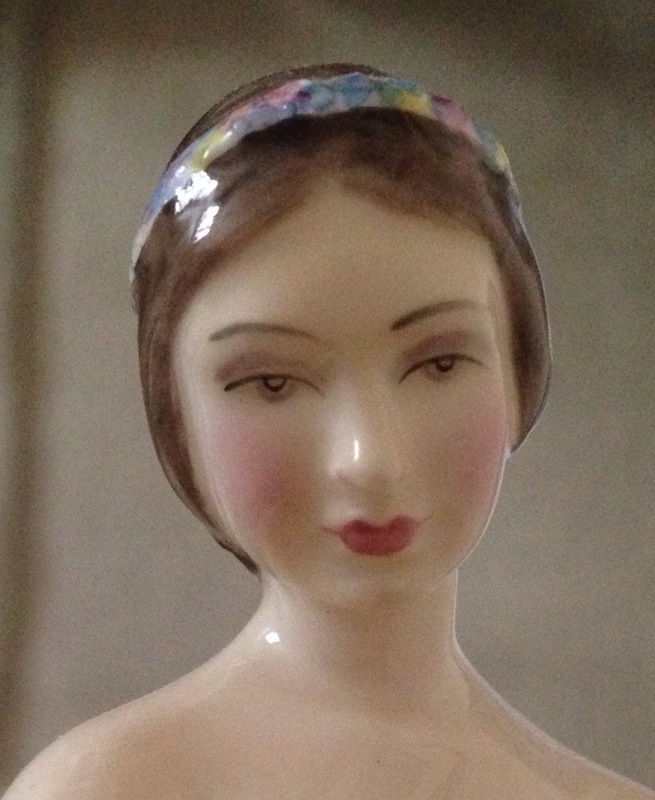 The earliest pretty lady size figures had very simple faces, often with just black dots for eyes. 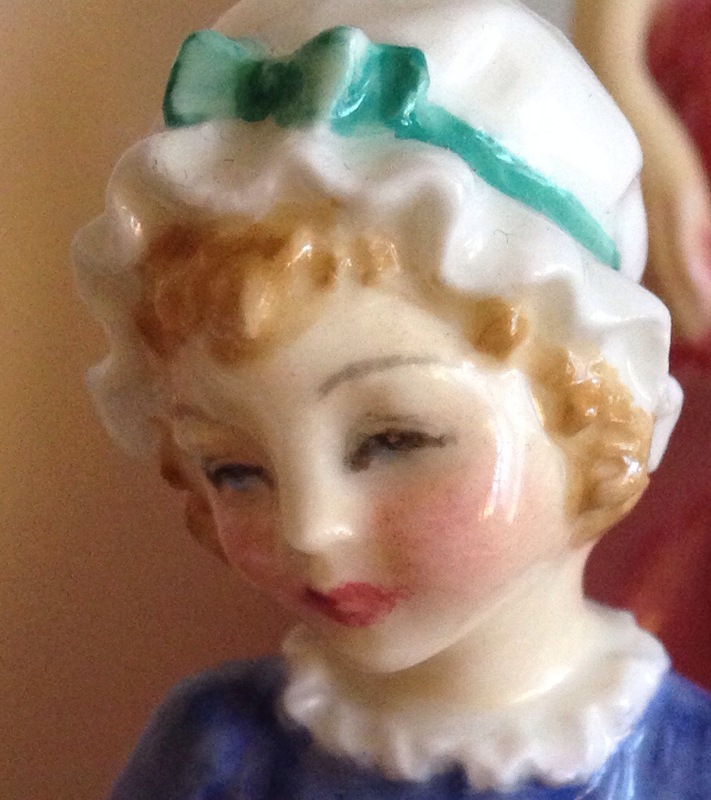 I have in my own collection this version of a Polly Peachum with simple blue dots – I’ve never seen another like this. 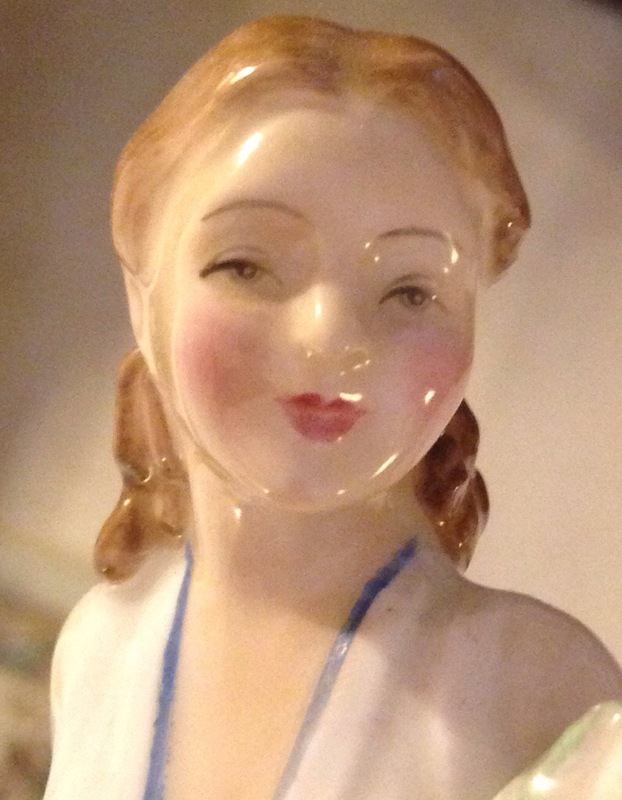 In the early 1930’s faces were typically like this one belonging to Sweet Maid. 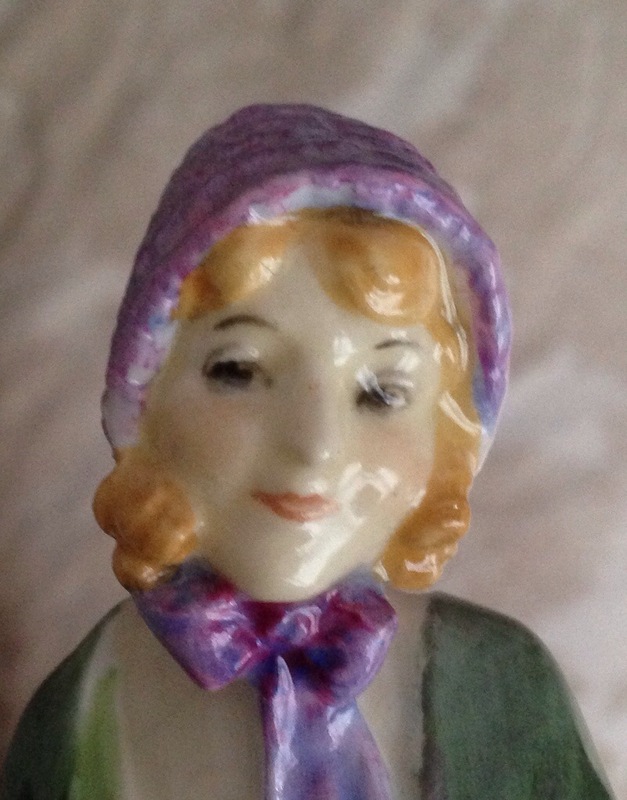 And here is a similar face belonging to Barbara. 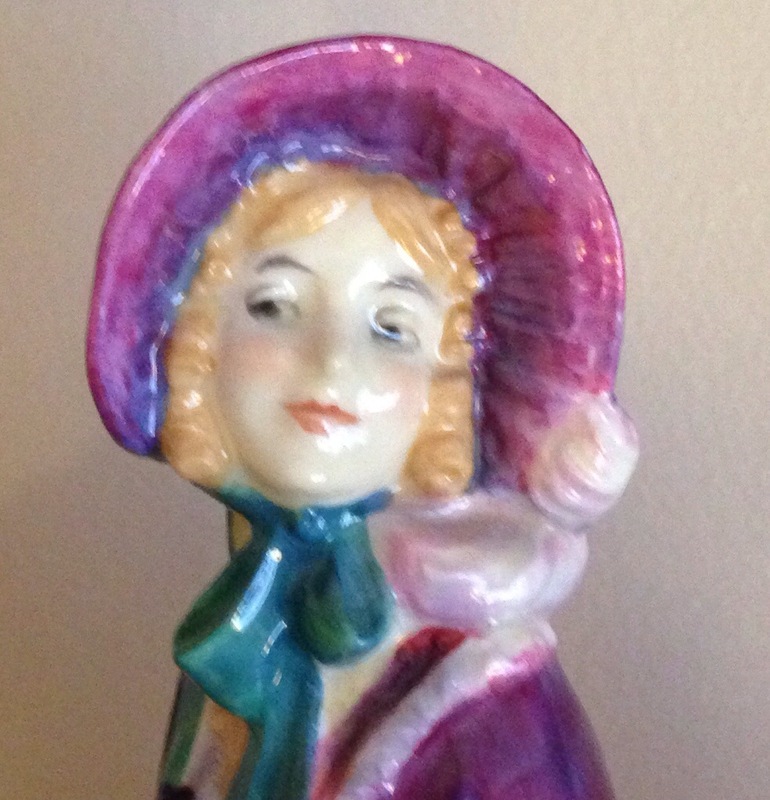 Around 1932 there was a further change among Doulton’s artists and faces like this one on Pantalettes became the norm. 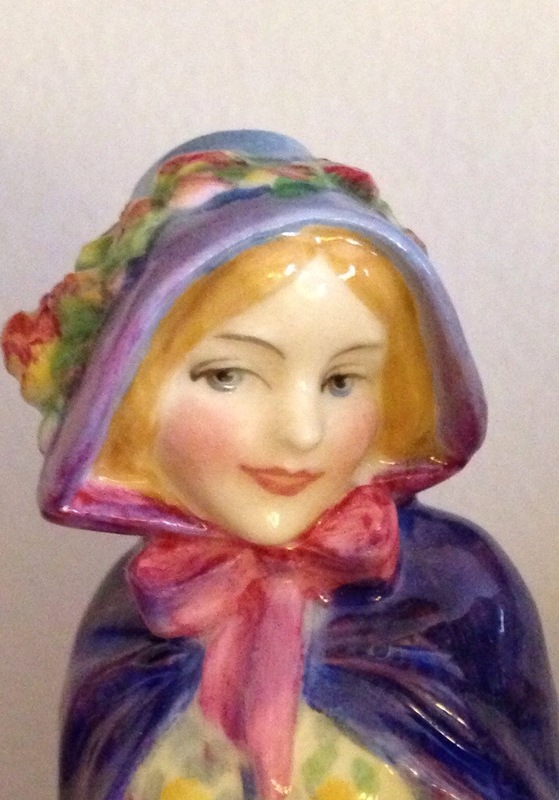 Then ca.1935 these faces with coloured eyes appeared popular and are readily found on figures from this time. 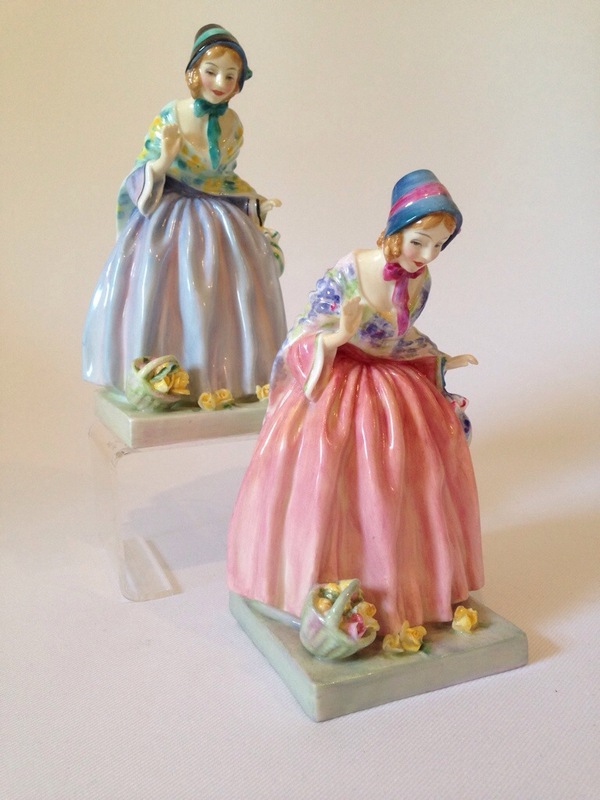 Thereafter until production ground to a halt sometime in 1944 the faces of Doulton’s ladies remained quite similar to the two here from Verena and Meriel. 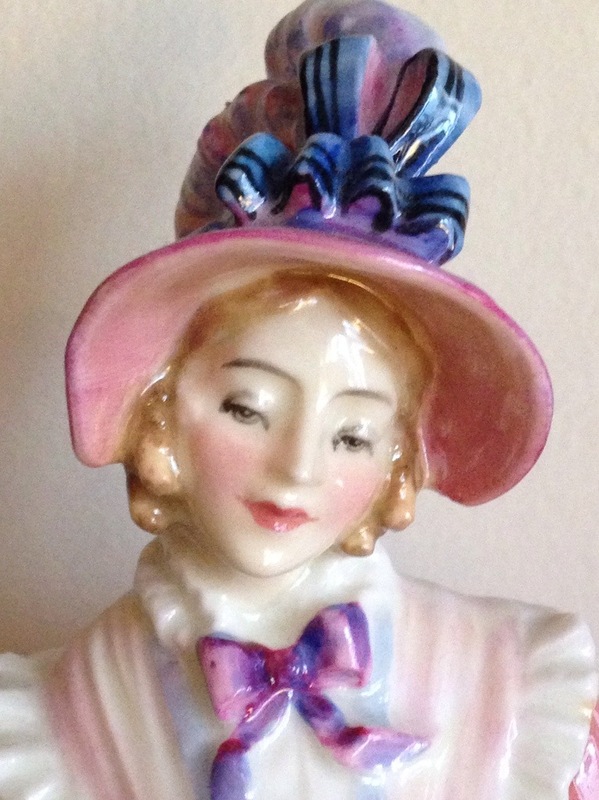 Post WWII there was often a return to blue eyes on some figures but the ladies generally appeared less ‘max-factored’ as I call it. Here is one such example. By the early 1950’s there was a further change to a more simple face like these belonging to Carolyn and Judith. 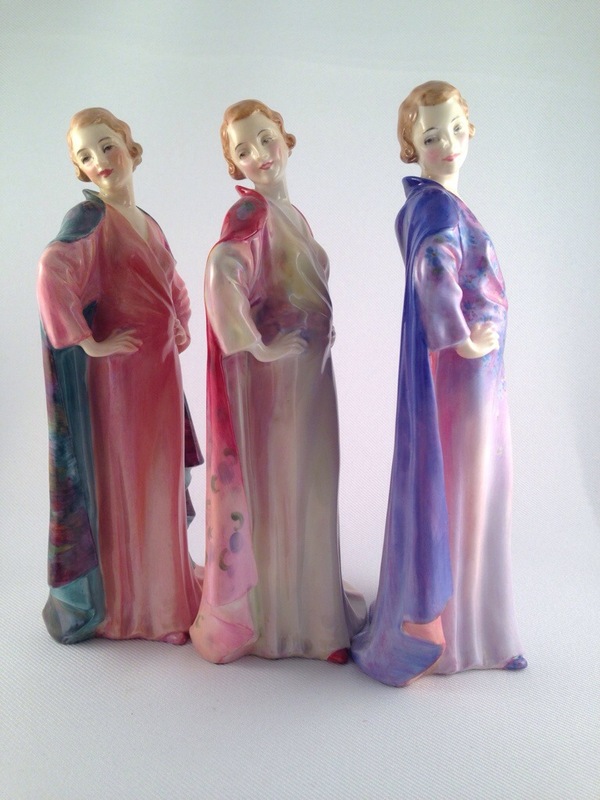 As Doulton figures at this time were all purely handpainted much variation exists and whilst I personally prefer the faces from the late 1930’s it is possible to find ‘max-factored’ faces on later figures such as Giselle and Jacqueline down here. 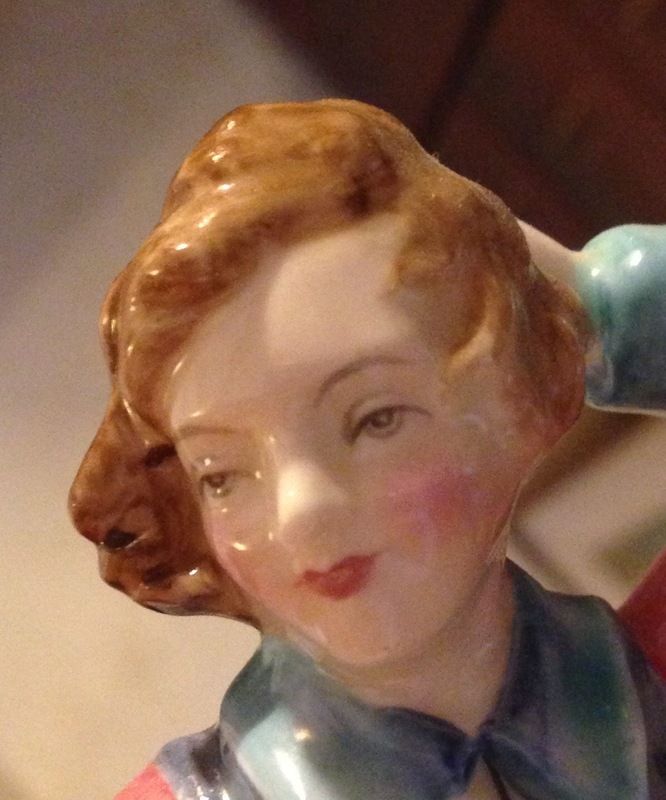 It would be impossible for me to describe every single face ever painted but I hope this general description helps collectors identify or distinguish figures from various decades. 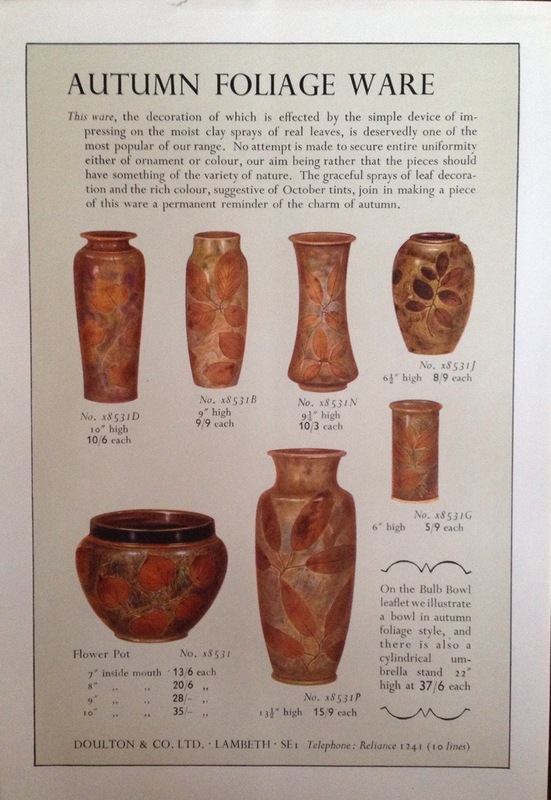 What set Doulton apart from their several counterparts who were also trying to establish a market for figurative studies in the early 1900’s, was the quality and the detail of their studies. One particular detail which today remains very popular with collectors throughout the world is the addition of hand modelled flowers. 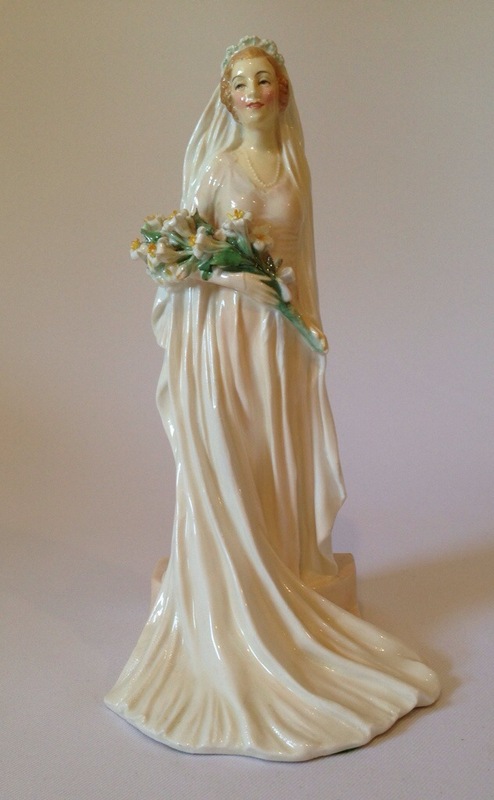 These ranged from moulded tulips, to lilies, to daffodils, to forget-me-nots, to the more typical roses found on many 1930’s Doulton ladies. 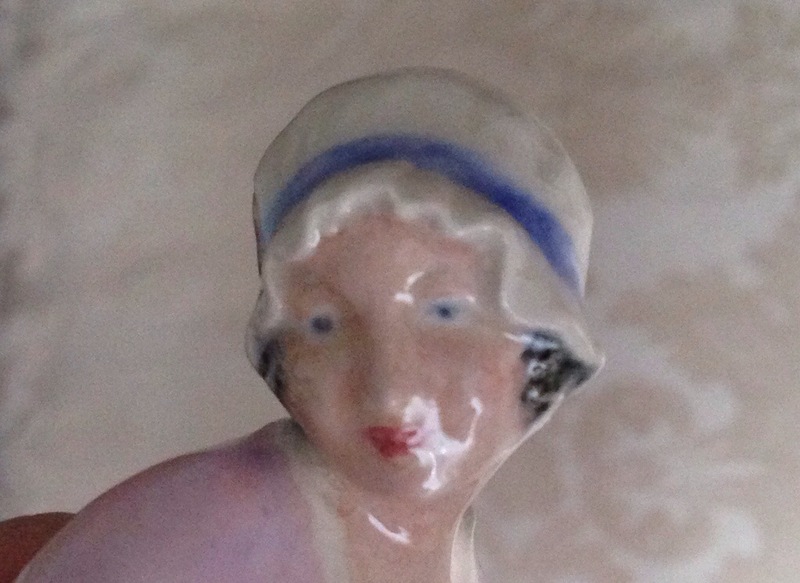 This once praised ceramic technique has now all but died out in the potteries but lives on in the many figures produced by Doulton in the first half of the 20th Century. 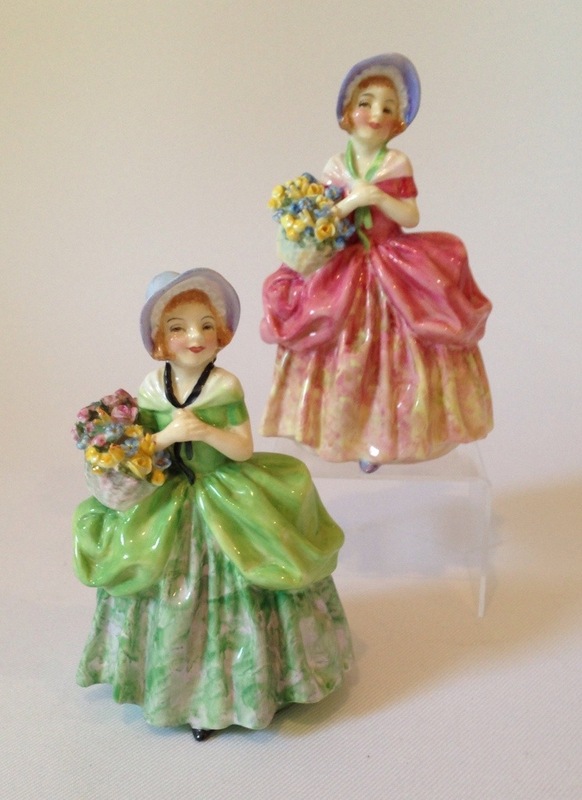 Some of the most sought after figures today happen to be those with flowers and you can clearly understand their popularity when you see the extra detail, flowers make to these figures. During WWII restrictions figures were often simplified and I have seen versions of Harradine’s Honey carrying entirely moulded flowers! 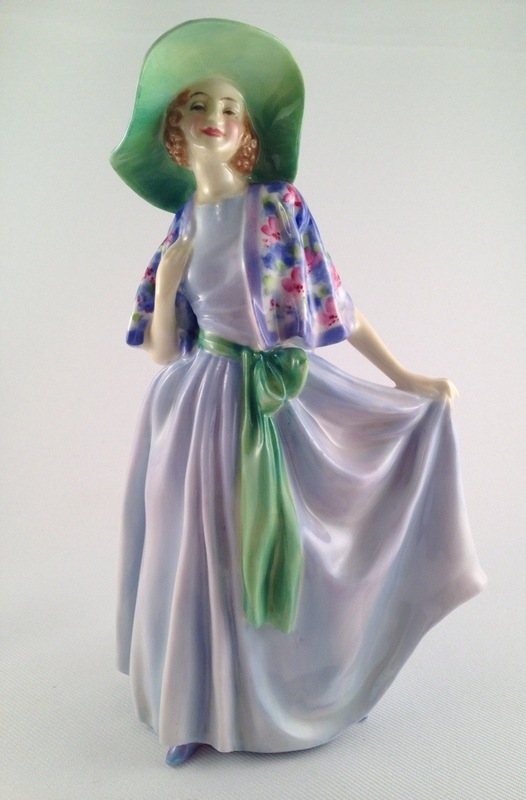 In the post WWII period the number of flowers was reduced on popular figures including Roseanna and even changed on others including Day Dreams, which incidentally also became ‘Daydreams’ at some point in the late 1940’s. 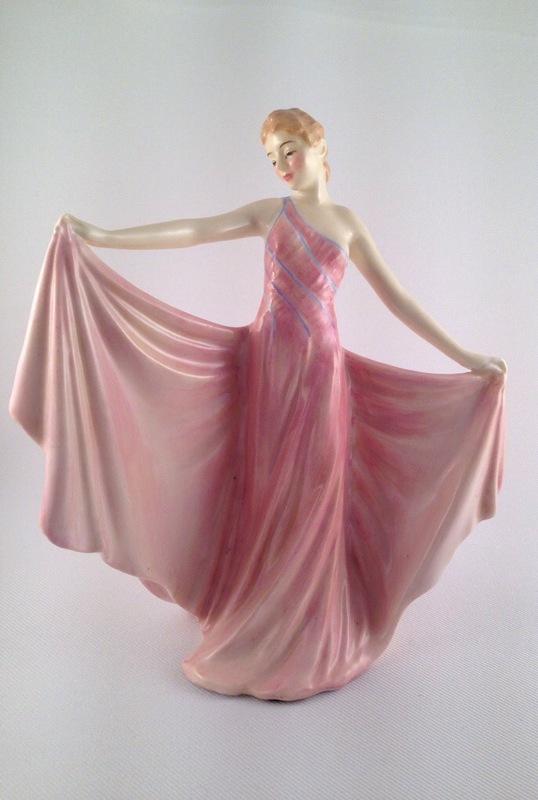 Shortly after the Art Deco period there was a time in the 1930’s when Hollywood glamour became ‘the’ look and typically Royal Doulton roze to the challenge of producing a stream of stylish 1930’s ladies. Among the first such figures is undoubtedly Clothilde shown here in three colourings. Her wrap dress and long cape capture the Hollywood style perfectly. 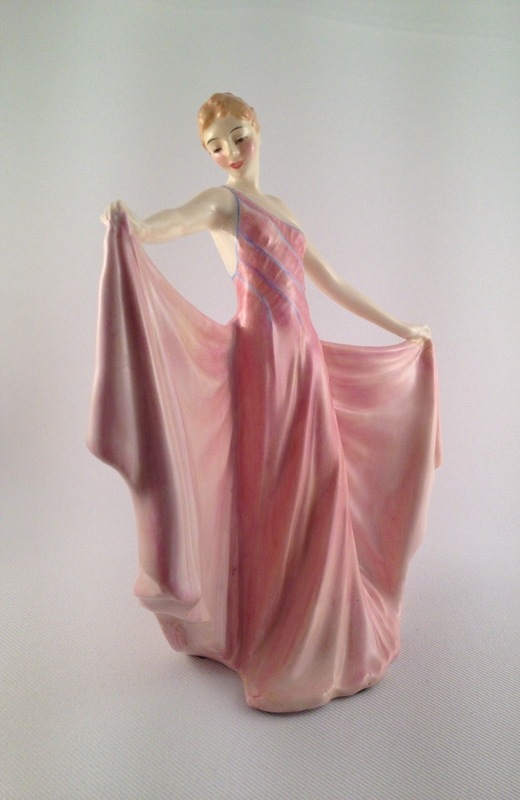 Almost a partner to Clothilde is Gloria in her daytime attire and chic clutch so evocative of this decade. 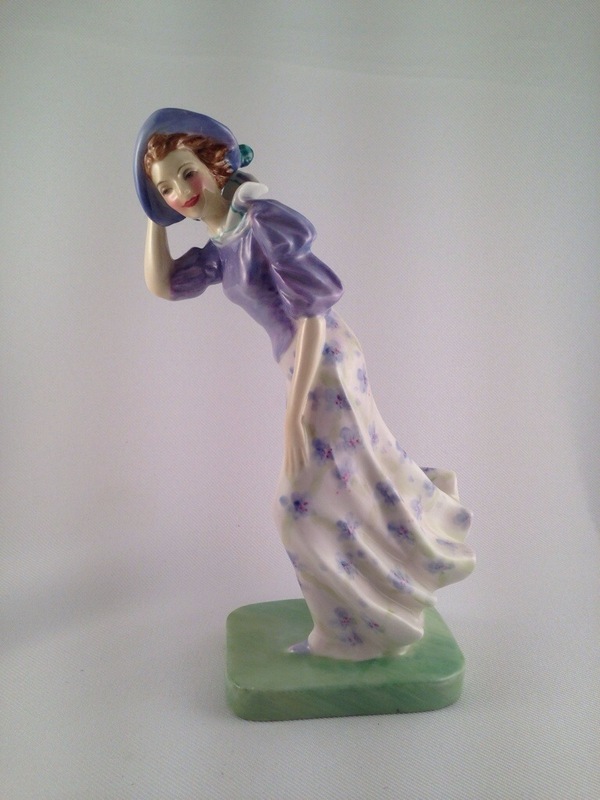 A favourite of mine which fits perfectly into this group is Windflower, a model of a young girl walking into a summer’s breeze, deftly holding her hat in place. The glamorous Nadine looks as though she has just walked off the screen from a big Hollywood production set on the French Riviera with her cartwheel hat and extravagant sash bow. 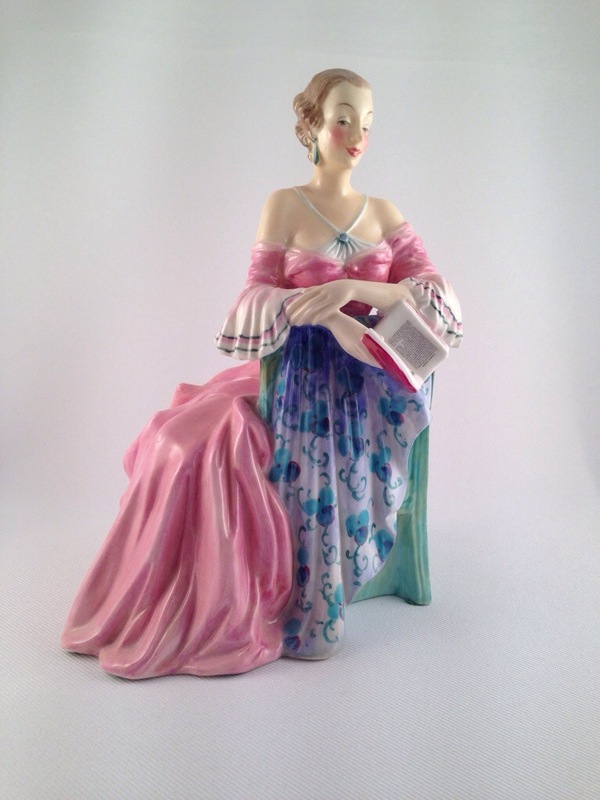 Moving to the boudoir we have the ever stylish and rare figure The Mirror, seen admiring herself in her hand mirror. No doubt engaged in conversation is the unusual figure Sweet & Fair, seen here perched on her elegant chair in her simply stylish ensemble. 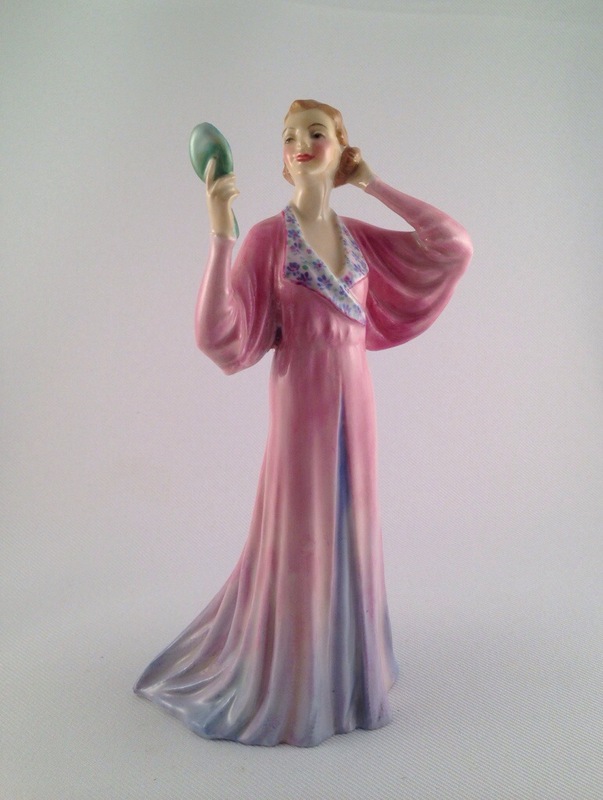 A final figure which belongs to this typical sized Doulton lady is Rhythm, seen here swaying gently to the music. She is a particularly hard figure to find today and her short production run was no doubt the result of her elongated arms, which are as fragile as they look. Two views of Rhythm HN1903. 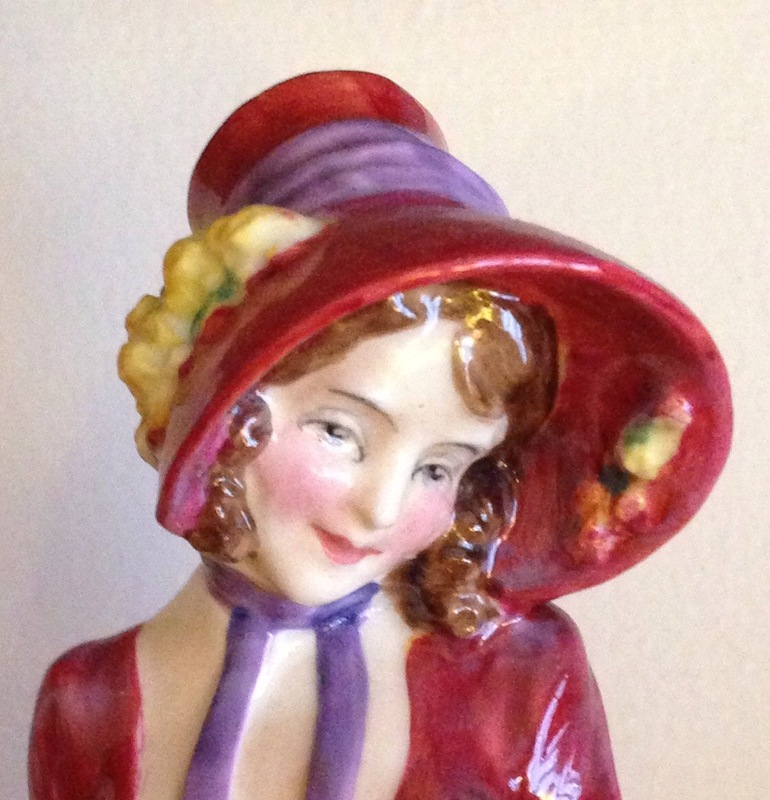 Before we finish there is one more figure to mention, namely the wonderful figure The Lambeth Walk. She is seen carefully taking a step to the tune of the same name from the hit musical Me and My Girl. 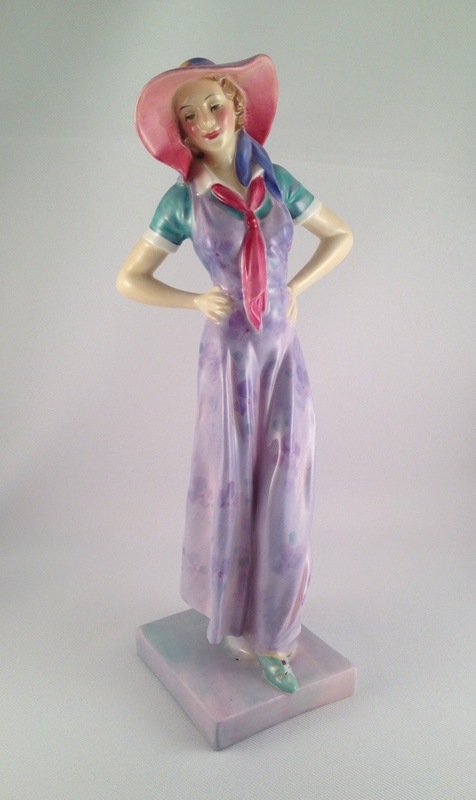 My reason for leaving her to last is not her insignificance but rather her size – she unlike her counterparts stands a magnificent 25 cms tall and so is instantly distinguishable from this band of glamorous gals! 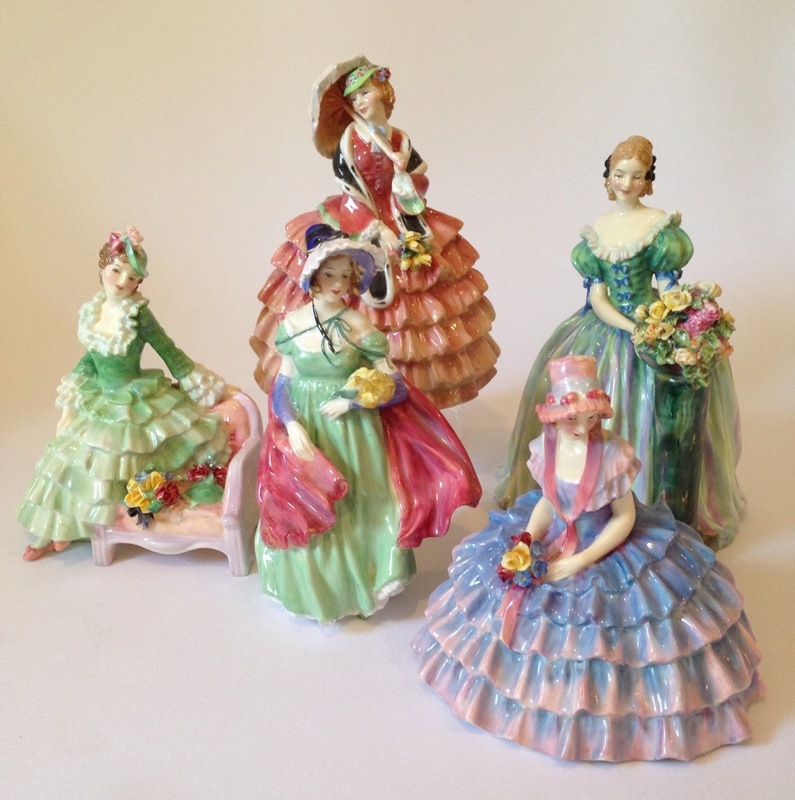 As you will be able to tell this latter group of Hollywood style figures all date from the same period and their HN numbers are all in the late 1800’s. Together they create something of a wow factor as I am sure you can imagine! 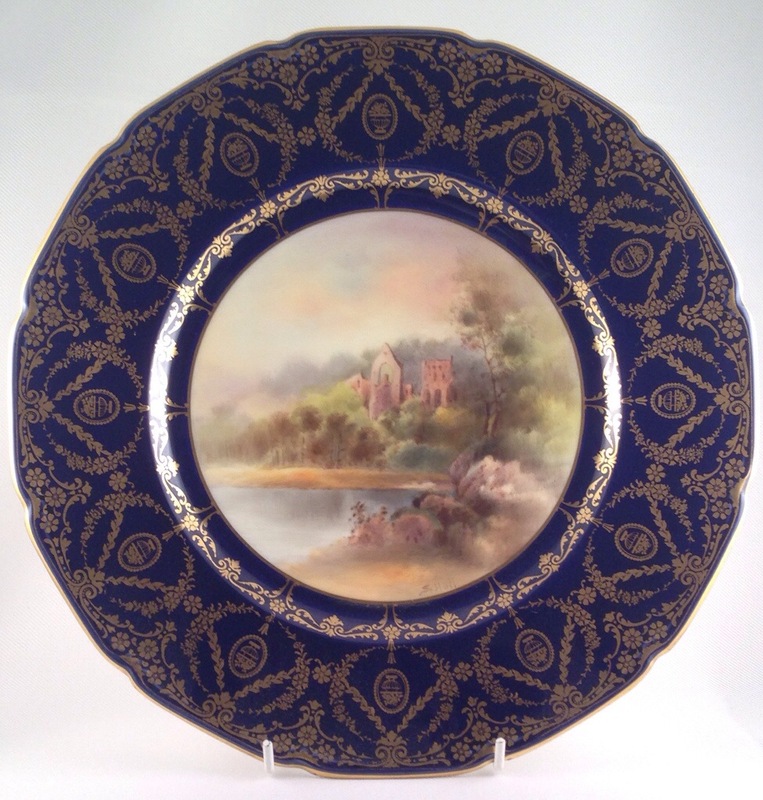 A fine cabinet plate featuring a view by Hall of Dryburgh Abbey in the Scottish Borders. 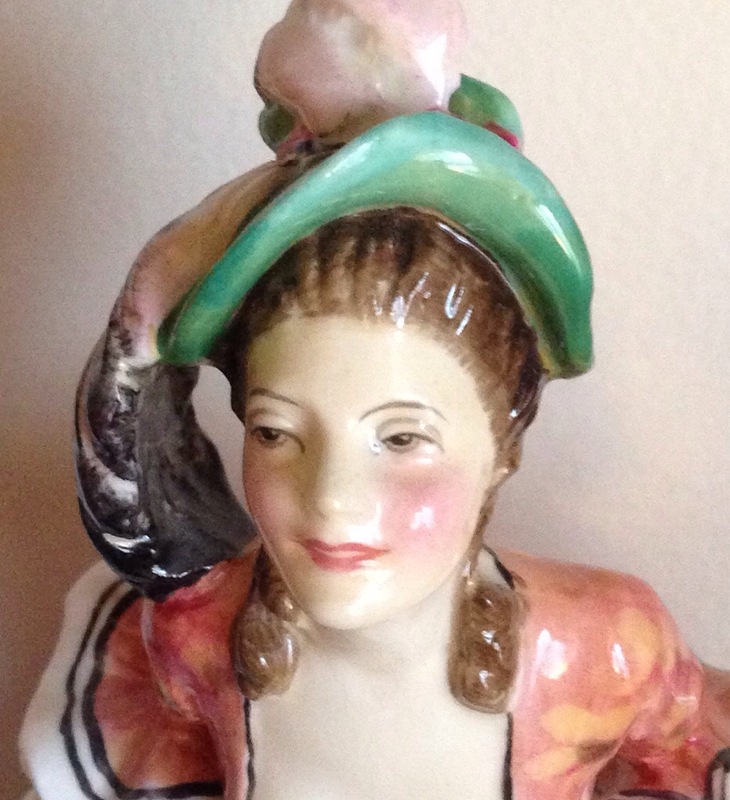 Hall’s association with Doulton began as a young teenager and would end with him leading a group of young painters and also leading the hand painting Seriesware department. 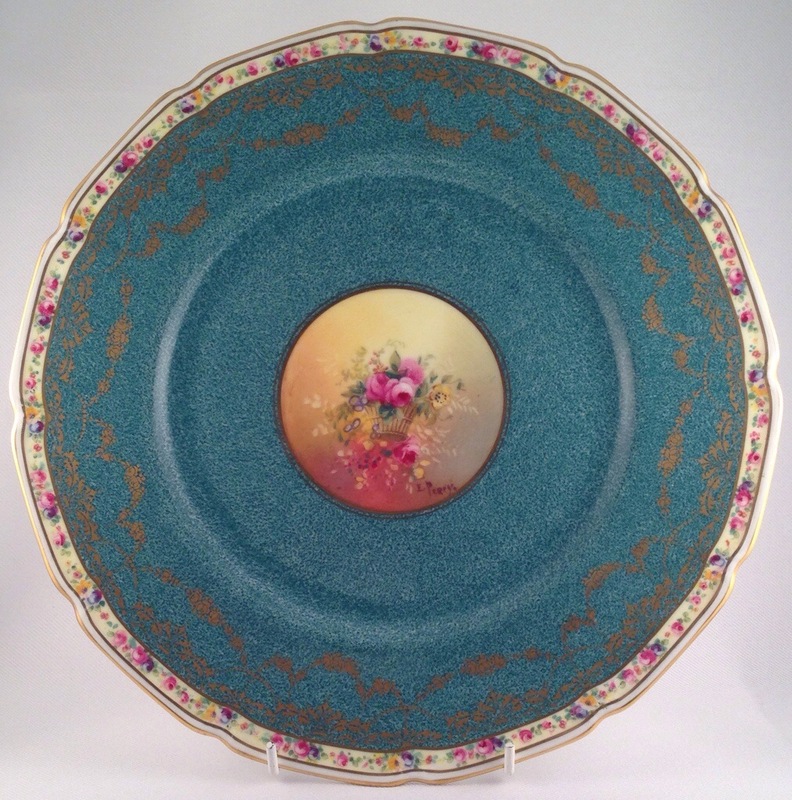 In the intervening years Hall displayed his versatility by painting many important fine china dessert sets and services featuring flowers, fish, game and landscapes. He is recorded as being particularly famed for his floral subjects, but to date I haven’t personally found any! Perhaps someone out there can help? A landscape signed by Hall with fine gilding work. 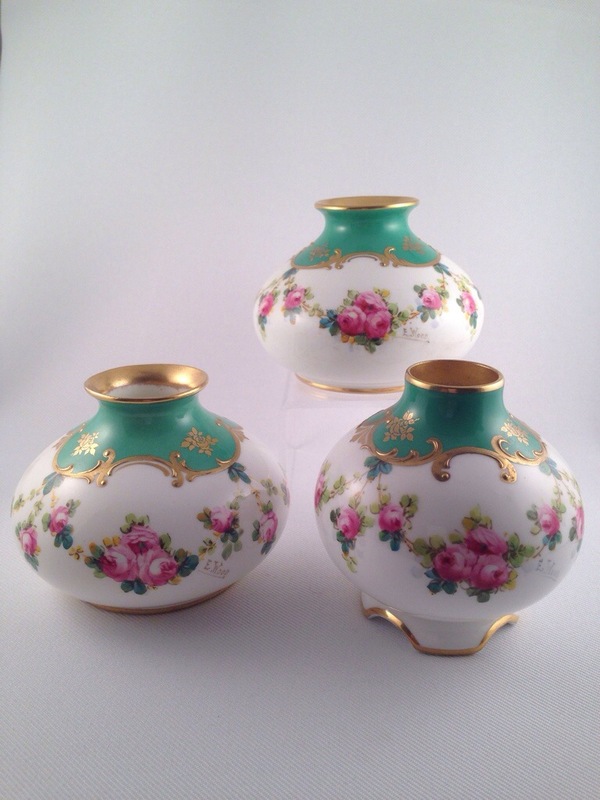 A trio of vases signed E. Wood with typical handpainted decoration. 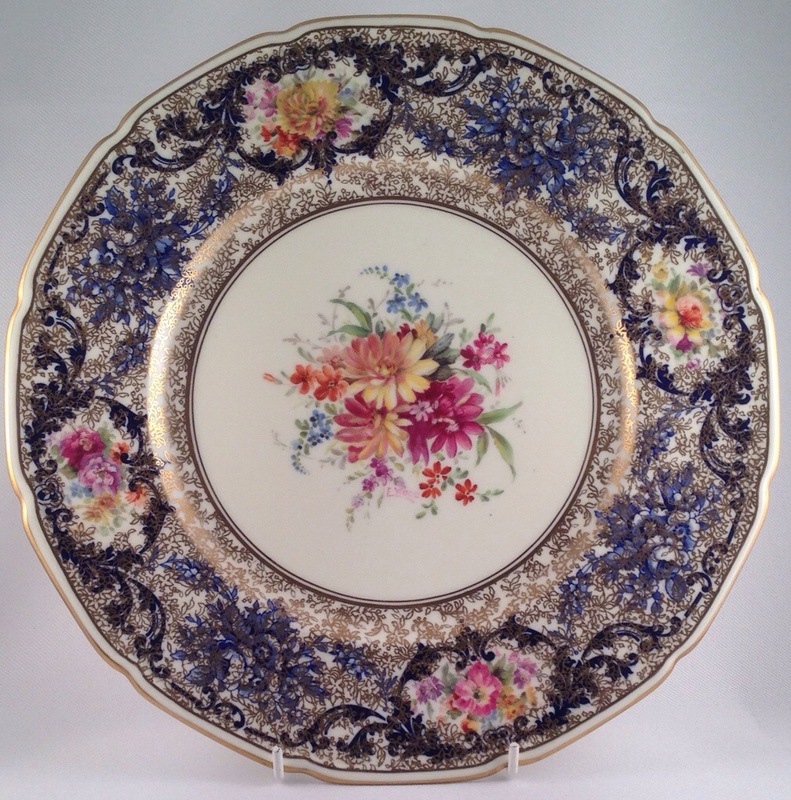 Wood is famed in Royal Doulton circles for his skilled flower painting, typically groups, and it is pieces with his famous roses that turn up most frequently signed by this artist. 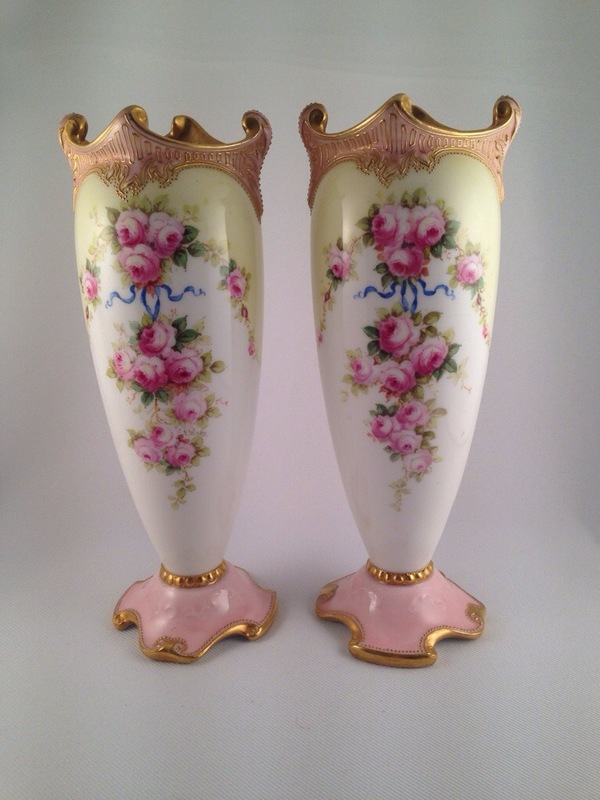 Another pair of vases by Wood with similar rose boughs. 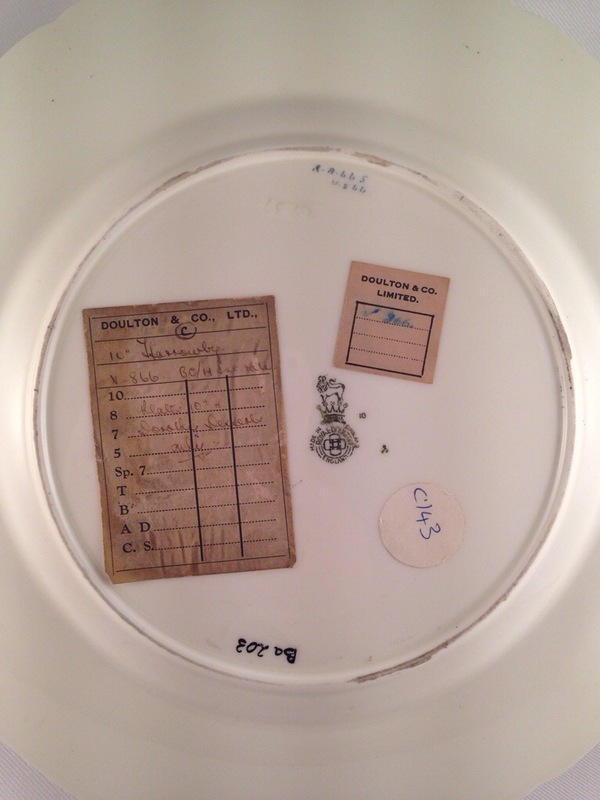 However, Wood began training at Crown Derby and later Wedgwoods. 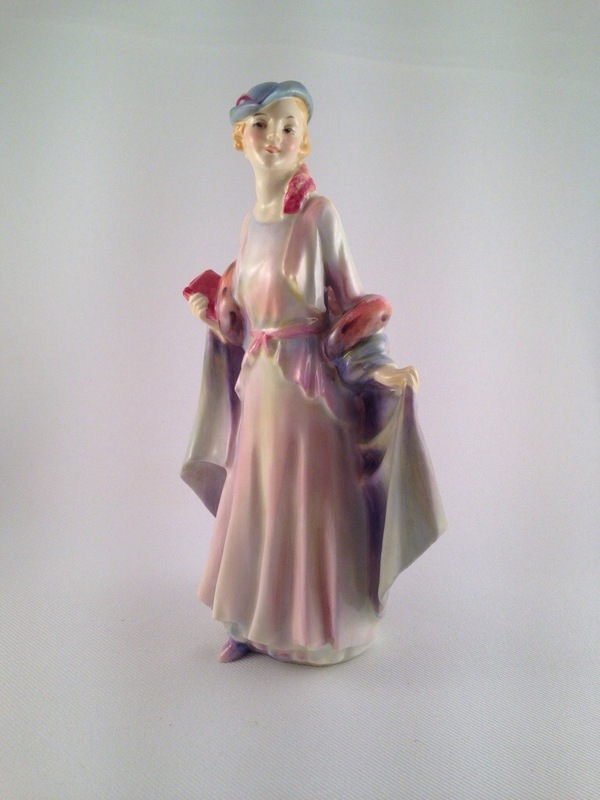 It is recoded that he was 29 when he began at Doulton’s in 1898 until retiring in ca.1938. 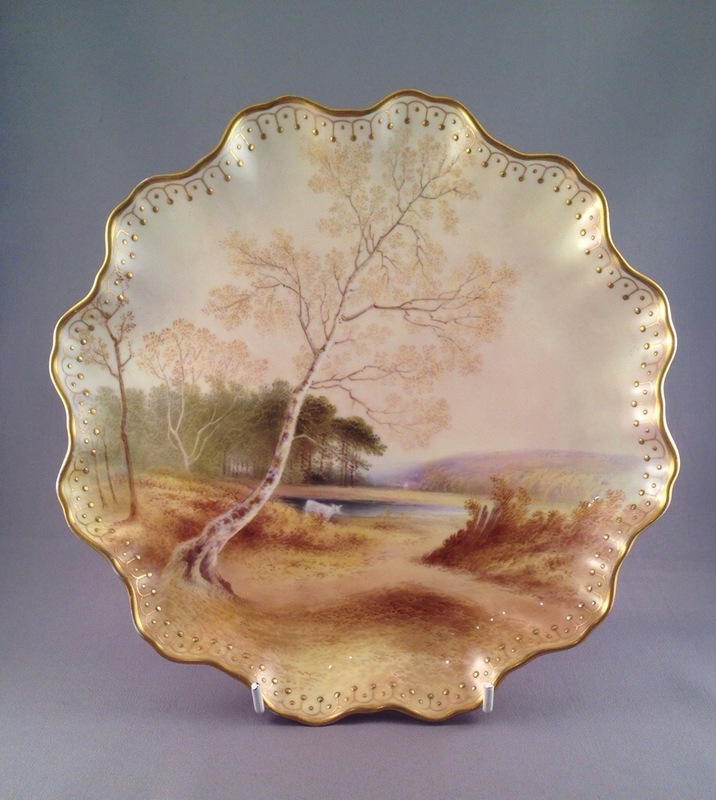 Two views of a hand painted dessert plate by Wood, also showing the original Doulton labels. Wood is as I say famed for his flower painting but he was equally skilled at game and fish subjects. 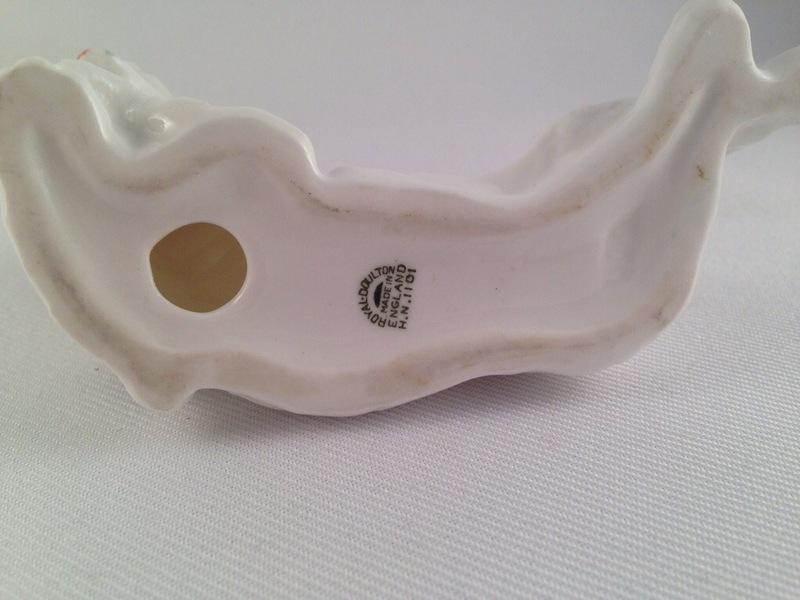 Pieces of Doulton also turn up signed E. Percy, a pseudonym employed by both Wood and the prolific Percy Curnock on part transfer, part handpainted pieces. A charming plate signed E.Percy.